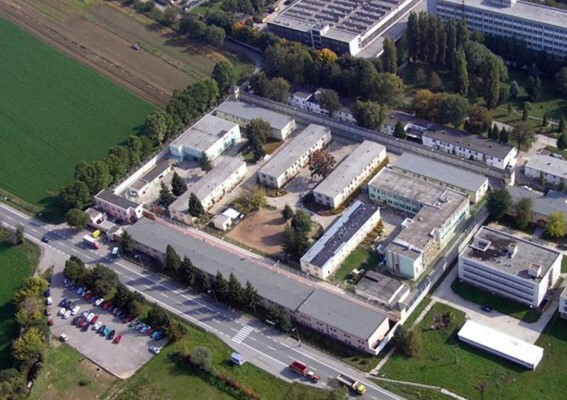 The prison was established in 1971, when the prison system took over the unused boarding-houses of an arms company. During the following years, by extensions, reconstructions and by the new constructions conditions were created that suited the prison sentence execution of sentenced men included in the second correctional group. In 1983, a comprehensive rebuilding of boarding-houses for prisoners was completed. In the following years, the medical facility was reconstructed and adjusted, a multipurpose room serving as a dining room and cinema for prisoners was built, a new educational center and others. In 1993, the prison re-oriented to the prison sentence execution of men included in the first correctional group (minimum guarding level). A complete reconstruction took part between 2016 - 2018 by what the accommodation capacity of the prison was increased by 172 places, the accommodation conditions of convicts improved, spaces for treatment of prisoners were created (by means of cultural- awareness-raising activity, education, spiritual welfare and individualisation of the prison sentence execution in specialized units) and last but not least the signal-security technology was updated significantly.